Just popping in for a quick Fitness Friday update for you guys! Let’s play catchup, shall we? We left off on 4th of July! 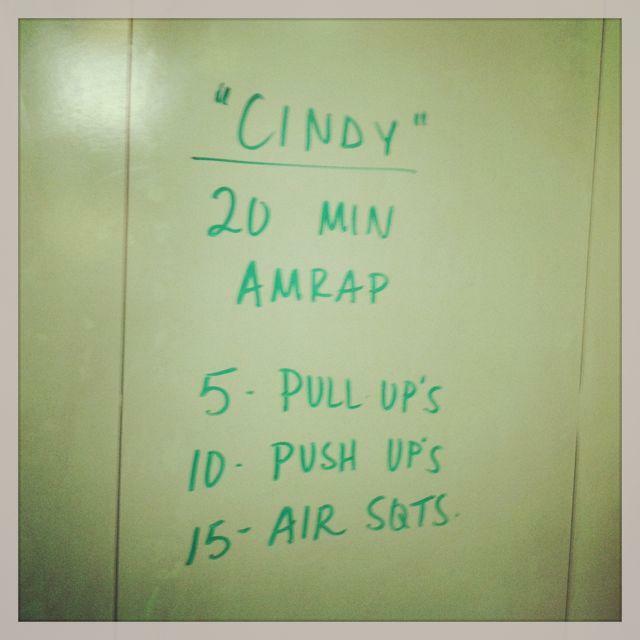 Our box was closed for the holiday so I made up my own WOD to do in the basement. It was short and sweet but it got the job done. 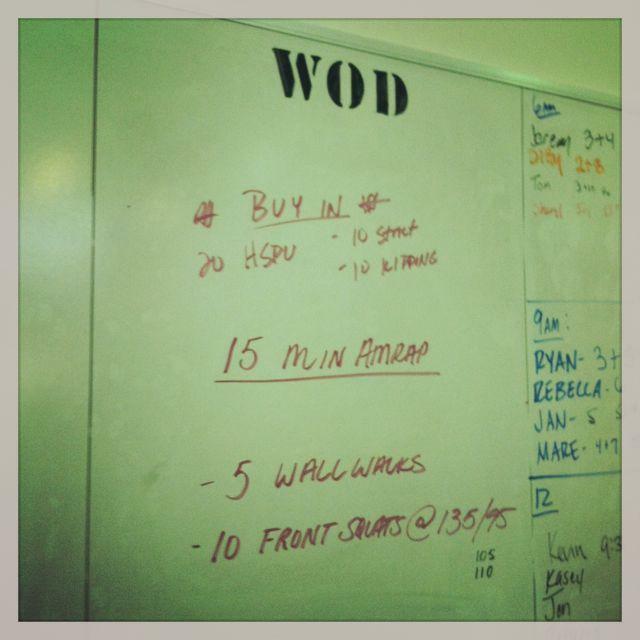 Friday I headed in for a mid-morning WOD during open gym. 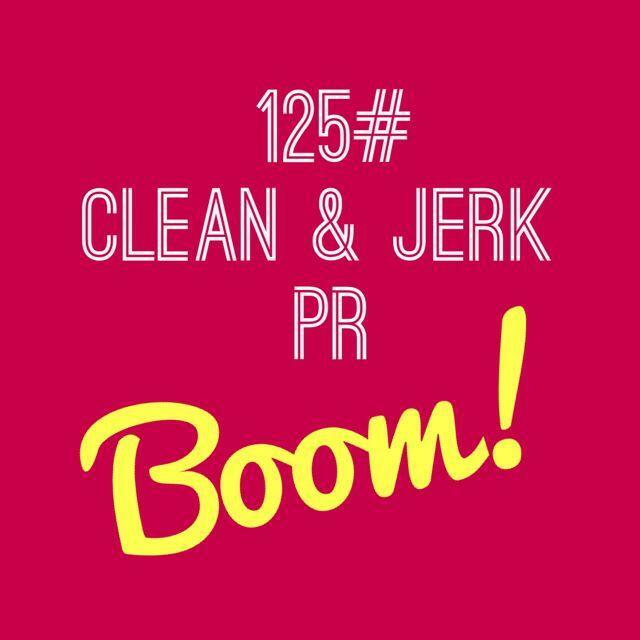 I did it in 10:42 with 75# snatches and running. 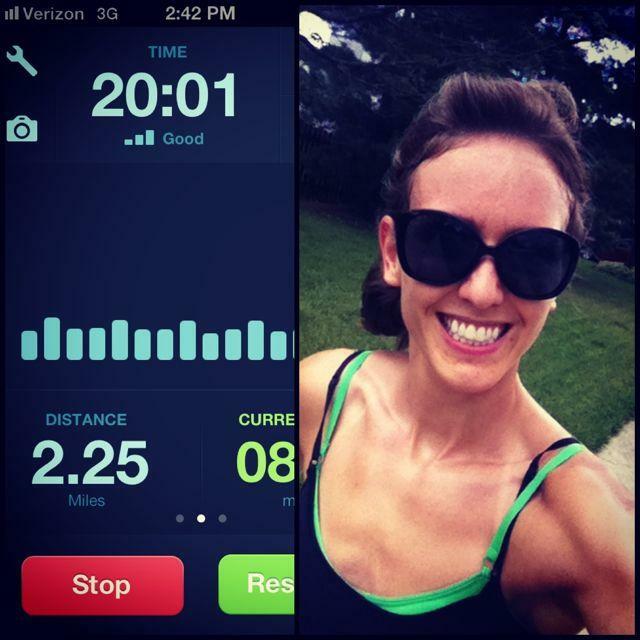 We headed out for happy hour but were home pretty early so I grabbed the dogs and headed out to do some intervals. 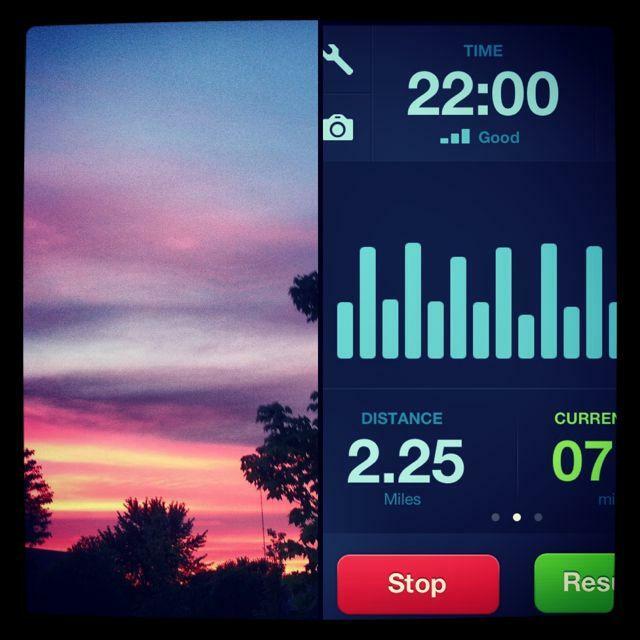 Walk 1 minute/run 1 minute. Saturday morning we headed in to do Cindy. It’s a tough benchmark because it looks deceptively simple…but it leaves me sore for days EVERY TIME. This wasn’t my best effort. Got 16 rounds + 2. Saturday afternoon it finally stopped raining for a couple hours so I headed out for more intervals. This time I ran 1 minute/walked 30 seconds. 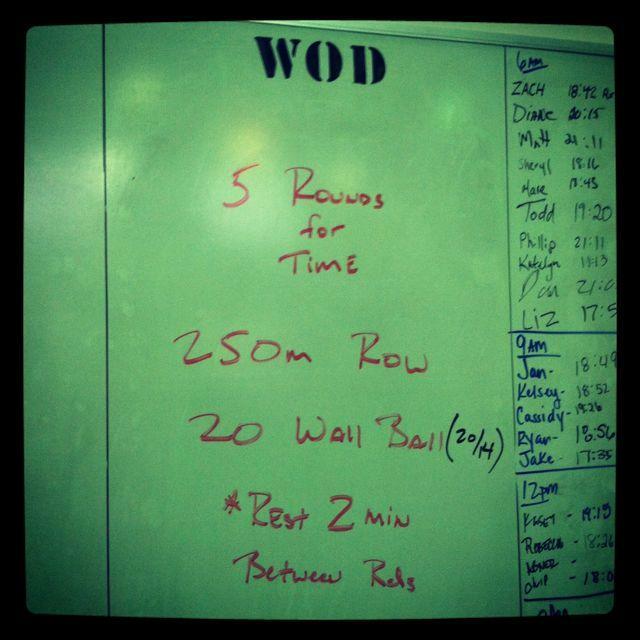 Another at home WOD. I did it in the backyard running back and forth between our fence posts and put a towel down for the pushups and situps. Finished in 20:24. Another benchmark. Crushed it! 14:16 Rx. 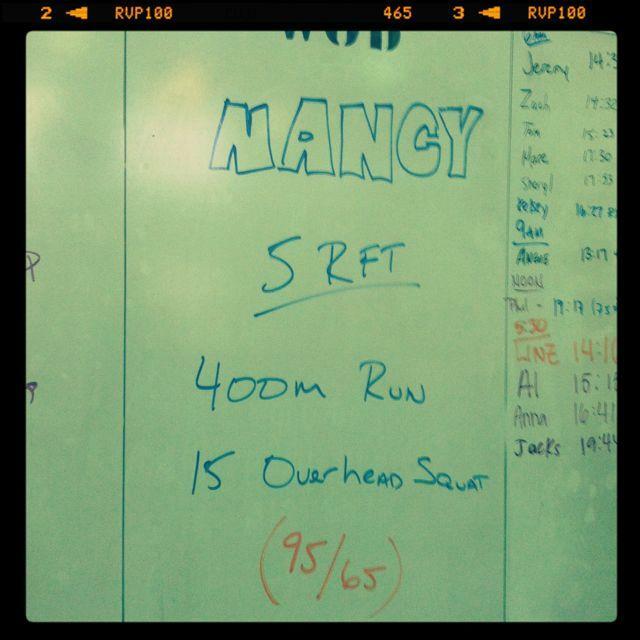 I love this one because overhead squats are one of my strengths and i’ve been working on my endurance so the running was easier than it has been. 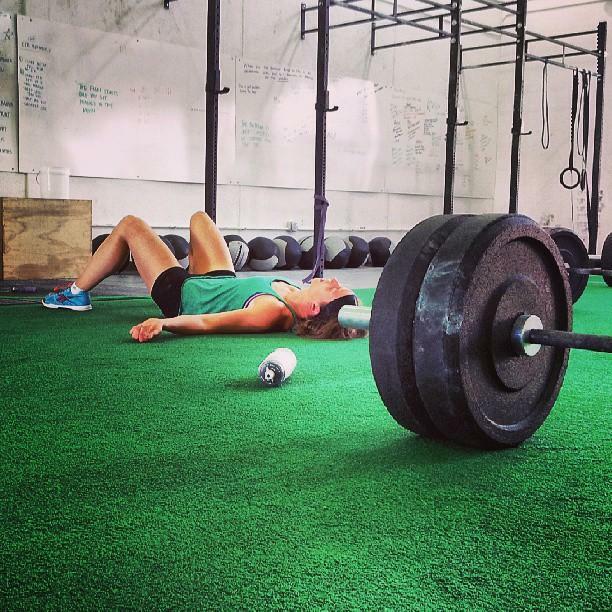 We did deadlifts for the skill/strength and my coach took this fun pic of me! This was supposed to be a rest day, but hubby had a bad day at work and wanted to go in so I dragged myself in after him. Turns out it shoulda been a rest day. It wasn’t my best workout. Walk walks are hands down my least favorite part of crossfit. I still can’t get my stomach all the way to the wall and I’m terrible at getting down from them. 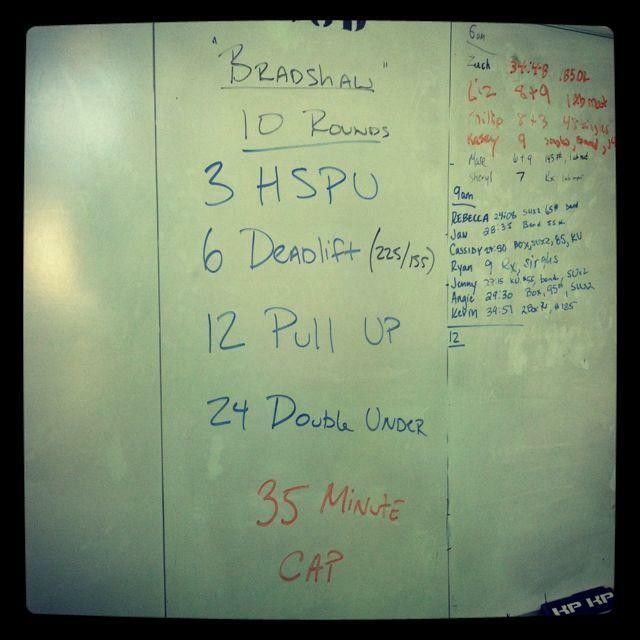 The clock started, then you did your 20 handstand pushups…which took me forever because I’m finally doing them with just 1 abmat…and then you started your wall walks/front squats (I did 105#). I got through 3 rounds + 4 and hated every minute of it. Hubby update: We’re over halfway through his 6 weeks in the sling and he’s totally over it. But he’s doing a good job of wearing it most of the time. He’s frustrated that he can’t do the WODS with us, but he’s been doing pretty well on his own! 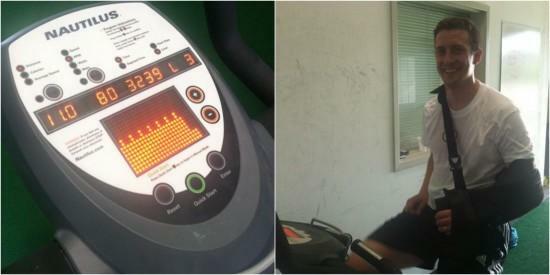 He’s been doing a lot of squats, lunges and box stepups holding a medicine ball, plus sit ups and back extensions on the GHD…and he’s been riding the bike! I’m so proud of him. Happy friday, friends! Any fun weekend plans? I’m hoping to get outside since it’s the first time we haven’t had rain in the forecast in 3 weeks! I love reading all your workouts. 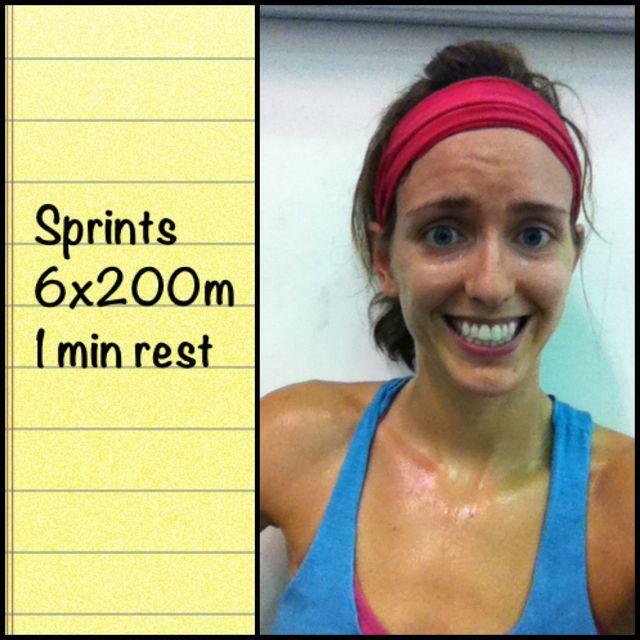 I don’t do crossfit but I’ve been copying them at home (as best as I can)! awesome! hope you’re enjoying it! Great pic through the kettle bell! 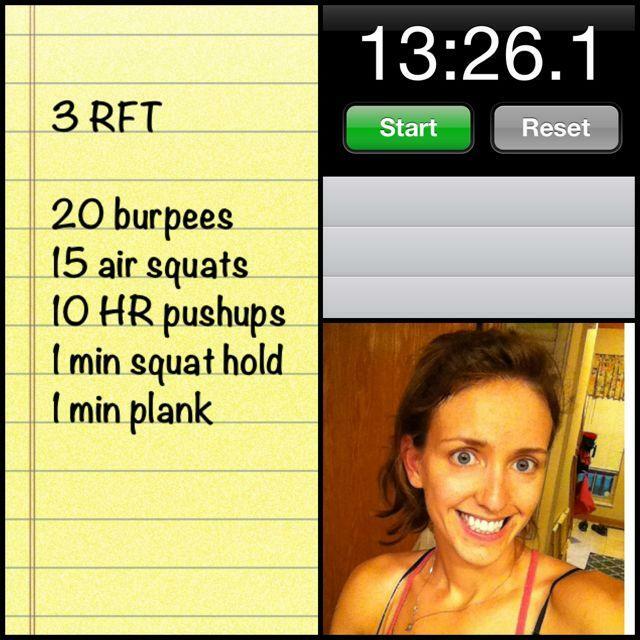 You had some killer workouts…think I’m stealing some of your homemade WODs! Inspiring, lady! Enjoy your much needed rest day. It’s mine, too. you have the best cf pictures!! we are going to the zoo tonight with my family because a band is playing and it should be good weather & really nice and tomorrow we are going to our friends for dinner! Looks like you had an awesome week of workouts! Awesome week! 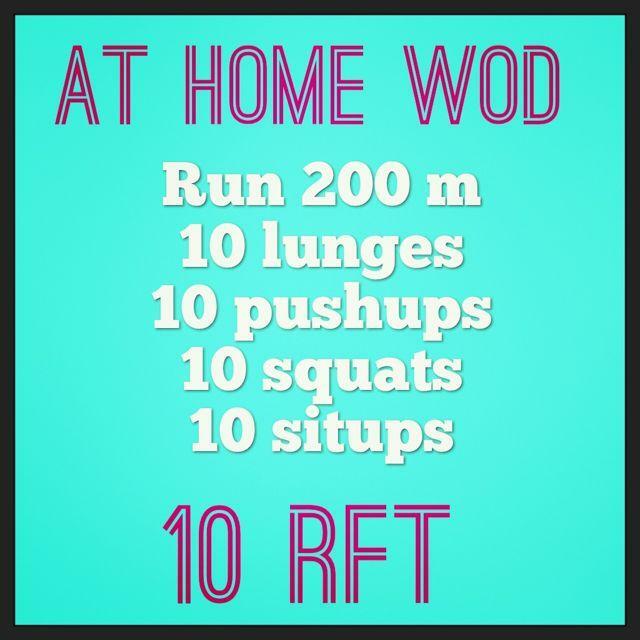 I love the “at home” WODs! that was a cool picture with the kettlebell!! 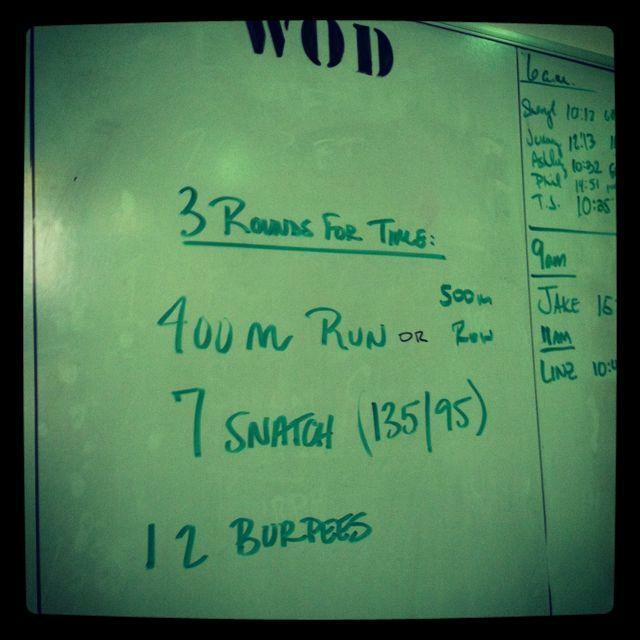 Those WOD look intense! Love the pick of you laying on the floor 😉 That’s a great feeling I bet! Planning on hitting the gym this weekend. Just switched gyms (one that my son has more things to do) So he can play while I workout! Looks like you worked hard and deserve a rest day! How cool is that picture of you through the kettlebell! Love it. Love seeing all of your workouts!! 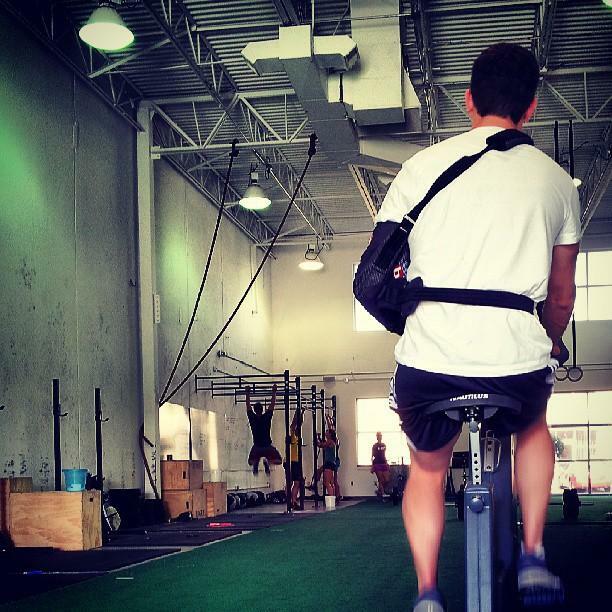 Glad that your husband is finding ways to stay strong while wearing the sling!!! you lay on the floor with your feet against the wall, start walking your feet up the wall and move your hands closer and closer to the wall until you’re flat against the wall with your stomach touching it doing a handstand. SO hard! You always inspire me so much, Linds! 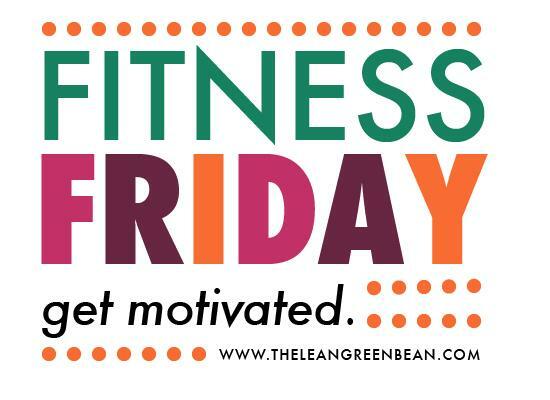 I love your Fitness Friday posts. Have a great weekend! 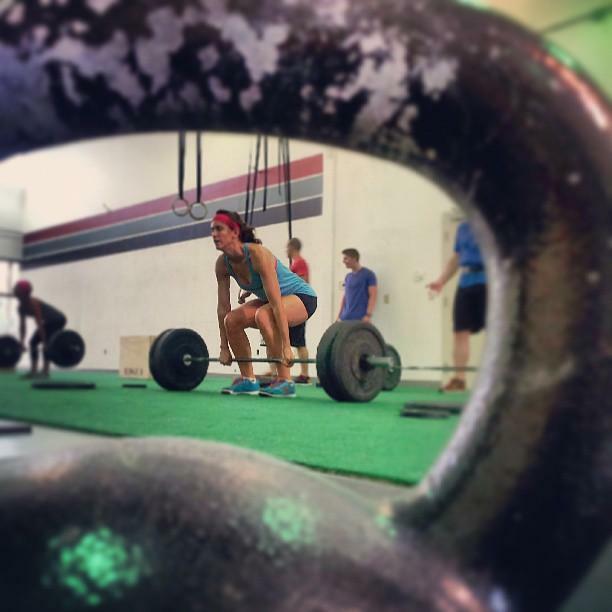 The photo through the kettlebell is awesome! I also love the one of you collapsed! Love that pic through the kettlebell. Super frustrating for your husband, but good for him! [WORDPRESS HASHCASH] The comment’s server IP (207.198.101.54) doesn’t match the comment’s URL host IP (66.155.9.238) and so is spam.